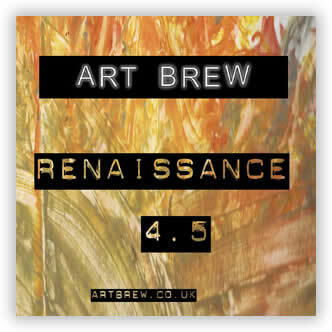 Art Brew’s Renaissance | DorsetBreweries.com - A Guide to Dorset Breweries and Dorset Beers! A mid brown bitter, this is a well rounded ale with good caramel notes drawn out of the malt by Art Brew’s gas fired brewery. Tempered with East Kent Goldings hops for a clean finish, this is the standard bitter in Art Brew’s collection.